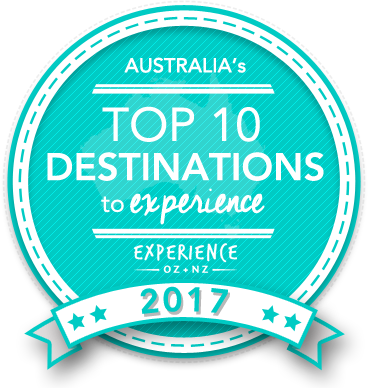 Vote forWhitsunday Island, QLDTop Island Destinations Which are Australia's must-visit destinations? You help us decide. Home to the iconic Whitehaven Beach, Whitsunday Island is the largest island in the Whitsundays and one of the most internationally recognisable. A popular day trip destination as well as a camping hot spot, Whitsunday Island offers a non-commercial, back to basics island escape that makes for one of Australia's most pristine and visually stunning island environments. Why it's special: The unforgettable Whitehaven Beach and views from the Hill Inlet Lookout. Known for its two popular main attractions; Whitehaven Beach and Hill Inlet lookout, Whitsunday Island offers additional natural highlights as well, including a myriad of small coves, lagoons and inlets that dot its shores. Taking island getaways back to basics, during a visit to Whitsunday Island there are no resorts, pools, shops, cafes, restaurants or bars; it has managed to remain untouched and pristine despite the development of some of its neighbouring islands. As beautiful in real life as the flagship tourism photos suggest, with Whitsunday Island you'll get exactly what you see in the promo material prior to a visit. Whitehaven Beach is a major drawcard for visitors to the region, and its 7 kilometre stretch of pristine white silica sand contrasting against the glistening blue waters makes for a dream destination. For incredible views of this impressive sight, visitors to Whitsunday Island can ascend to the top of the Hill Inlet Lookout which will provide sweeping views of the region. Whitsunday Island has long been one of the most popular destinations in the Whitsundays, and once reaching the top and soaking in this panorama, it's ridiculously easy to see why - particularly on clear days when the water-and-sand contrast is at its most vivid. An idyllic representation of the beauty of the Whitsundays region as a whole, Whitsunday Island serves as a highly popular day trip destination from both the likes of Hamilton Island, as well as Airlie Beach on the mainland. There are a number of different ways to visit the island – ranging from relaxed sailing cruise to high-speed ocean raft – however, regardless of how one lands on its shores, the island offers visitors the chance to sink their toes in to the powdery-soft (and surprisingly cool) sands of Whitehaven Beach proper. It’s no surprise that Whitsunday Island is a target destination for numerous tour and cruise operators and has been voted the number one island in Australia in our previous polls. On a daily basis, local operators ferry groups of tourists to the island to enjoy Whitehaven's sands for either a full or half day. Whitsunday Island itself is physically huge in comparison to many of its neighbours, and its central location surrounded by various other islands makes for a wonderful outlook from various vantage points; the island has numerous walking tracks that feature panoramic lookouts showcasing some of its brothers in wonderful fashion. The Tongue Point Track is a 15-minute walk which offers a wonderful view of Whitehaven Beach, while the Dugong Beach to Sawmill Beach track provides some excellent scenery looking out over the surrounding bays. Both of these beaches have their own substantial camping grounds that make for idyllic spots to spend a night, and they're surrounded by a blend of woodland and pine/palm hybrid forest that blankets the island as a whole. If you're after a microcosm of the Whitsundays region's island beauty, there are few better places on which to set foot than Whitsunday Island. Looking to pay a visit to Whitsunday Island but not sure what to do? Here are some of the most essential experiences. Need more info on Whitsunday Island? Check out our detailed travel features on this top spot below. Visited by thousands of people each year, the Whitsundays are the perfect place to go on an amazing island-hopping adventure! Make the most of the Queensland sun and set out on a cruise to Hamilton Island and Whitehaven Beach to explore this tropical paradise in style! Is Whitsunday island Australia's Top Island Destination to Experience for 2017? Vote now for the chance to WIN an epic trip to one of Australia's top destinations!